I was contacted by Julie Hogan, a nurse who works at Bristol Hospice of Merced. They have a former 1%er biker who is dying of COPD, and he rode a Harley when he was able and his wish was to talk to Christian bikers. Michael Rae hasn’t lived this life knowing “normal.” Nothing made sense until he was on his knees and accepting Jesus while in a 6-by-9 prison cell after watching a minister’s testimony on Better Life Television. We need some help for Warming Hearts Souls Shelter. The date is November 8 and the place is the winter shelter at 829 North Market, Wichita, KS 67214. We need two or three people that could either serve the food or sit and talk with the homeless. It's always a good idea to have 4 to 5 servers and the rest of us just kind of mingle and eat with the guys. We also need some food for the event. We need a crock pot of vegetable chili and a crockpot of meat chili. Central Valley Chapter's booth at Madera Christian Bikers Rally Oct. 4, 2014. 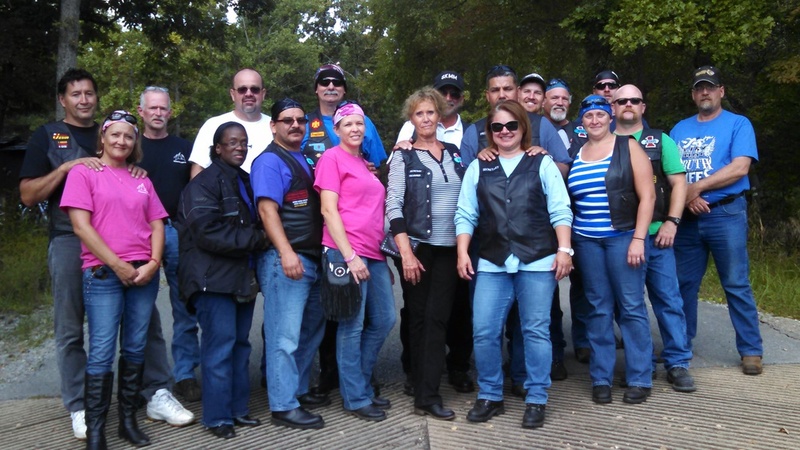 Sept. 21, 2014, Ottawa Chapter participated in March of Dimes' Bikers for Babies Rally to help raise money for life saving medical research, health education for moms-to-be, support for families in newborn intensive care (NICU) and other programs in local communities. We're in need of a banner for our booth at Reno Street Vibrations, which starts tomorrow. If you're headed out this way to support us and have a banner, please bring it. I am told the booth layout is slightly different from years past, and we could use a little something to make the booth pop. Please contact me if you plan to bring a banner, so I can let everyone know someone is bringing one. Thanks.